As another great outdoor track and field season opens up for athletes all around Kansas this week and next week, this seems as good a time as ever to send out a little reminder to everyone! 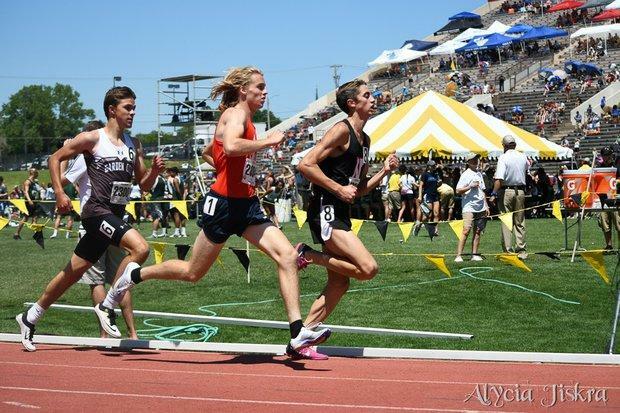 We (the Kansas Milesplit team) need your help to make sure we can have the most results possible! Without fans, coaches, athletes, parents, etc. who send in their meets' results, we wouldn't be able to do all of what we do to provide everyone on the website. So, as a reminder, please try and send any results you have to jmadison@milesplit.com and runsolidbuddy@gmail.com, so we can make sure all of the results find their way onto the site! Original HTML / "Flat HTML" - The absolute BEST way for us to get the results. It works best with our system. This is the only way we can guarantee 100% the results will cooperate correctly when uploading. We also can convert Direct Athletics, TFRRS, and Athletic.com results links onto the site here. Original PDF Copies - PDF (Note - not scanned copies) are the second best option when you don't have access to and can't find someone with access to HTML results. Sometimes, these can be very tricky to work with, but we will always try our best to make sure these results will make it onto our site! It may take a couple days rather than immediately for these to be converted. Unusable - Scanned PDF, hand-written, and others are typically entirely unusable to the site. Thanks, and a big good luck from all of us to all of the athletes in their first few weeks of the 2019 outdoor track and field season!